Carmel experiences some of their most beautiful weather in the fall so we thought, what better time than now to plan a picnic to the beach. 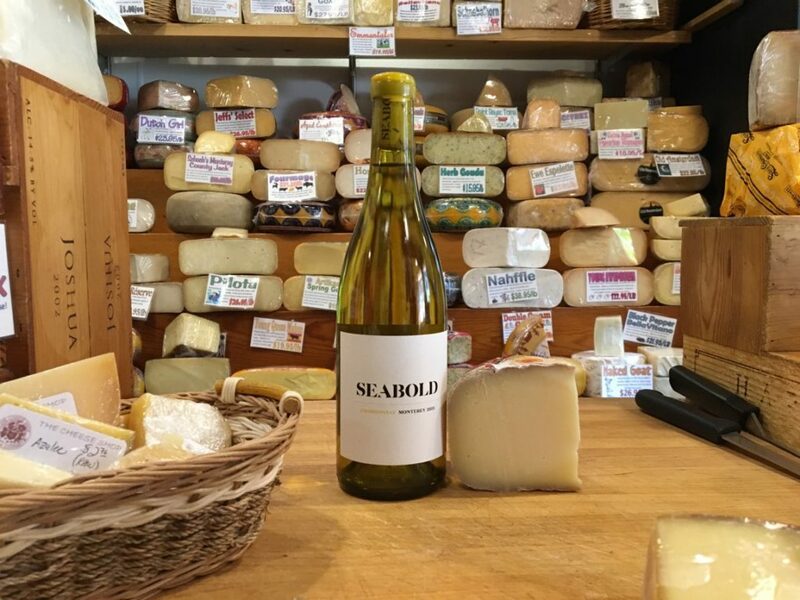 We reached out to The Cheese Shop; renowned for their extensive selection of the finest cheeses, gourmet foods and exquisite wines — a chef’s mecca in the heart of Carmel Plaza for over 35 years, and they put together the perfect shopping list for your next beach outing or upcoming holiday party. 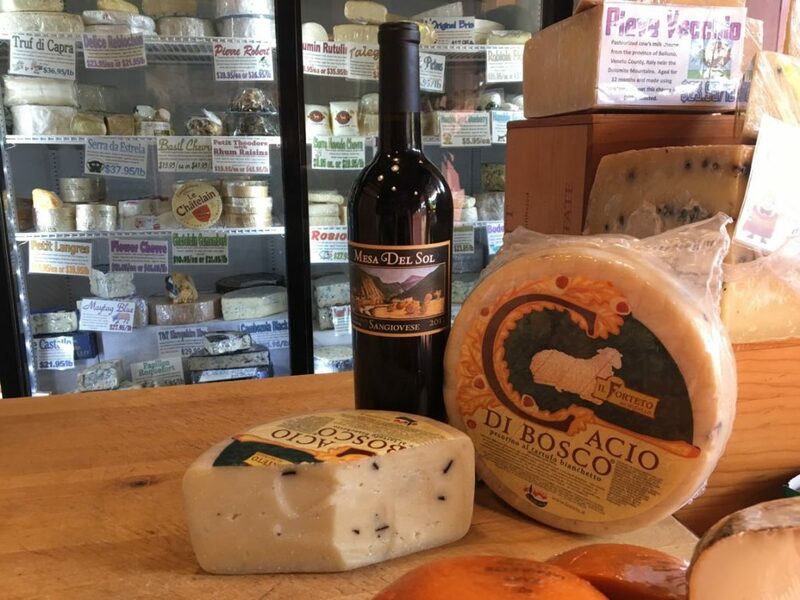 Below you will find 5 local Monterey County wines and the mouthwatering cheeses to pair with them. Local winemaker Ian Brand sources his fruit for this elegant Cabernet Franc from the Bayly Ranch in the Paicines, San Benito County. Pair it with the Peppered Cacciota, a pasteurized goats’ milk cheese, from central Italy, which is aged 6 months and rubbed down with olive oil and cracked peppercorns for a truly delicious experience. 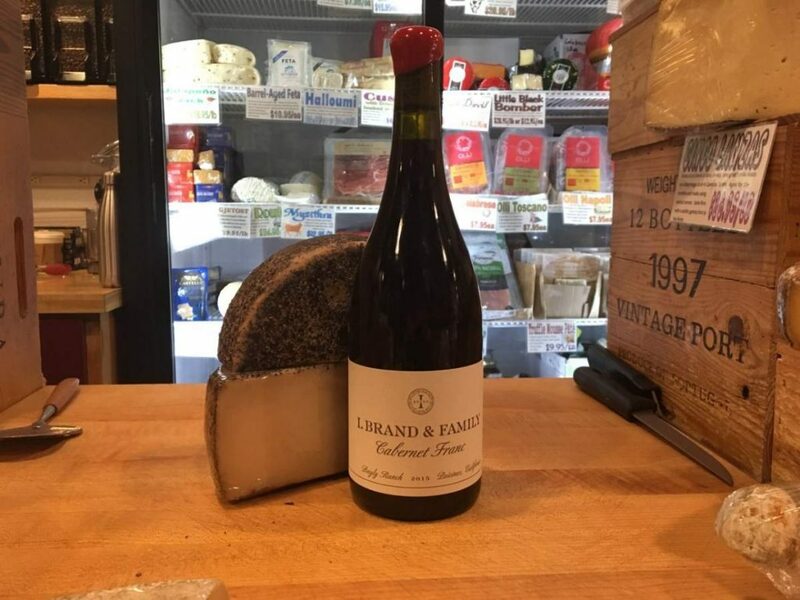 We recommend pairing this Monterey County Pinot with a Monterey County cheese, Schoch Dairy’s East of Edam, a raw cows’ milk cheese, inspired by the Dutch Edam. The Schoch Family produces raw milk and cheese in North Salinas, where they’ve been a staple since the Second World War. This classic Tuscan variety has shown itself to be well adapted to the soils of Arroyo Seco. Juicy, red berry fruit, bright acid, and firm tannins make this wine a great pairing with any meal. The Mesa del Sol estate has a long history in Monterey County as a stagecoach stop and a health retreat that once even hosted Teddy Roosevelt. The Houghmans still run a retreat on the property in addition to cultivating grapes for their own label. We recommend pairing this wine with Aged Boschetto. A pasteurized sheeps’ milk cheese from Tuscany, the boschetto is aged about 6 months and is infused with truffle shavings for a decadent experience. 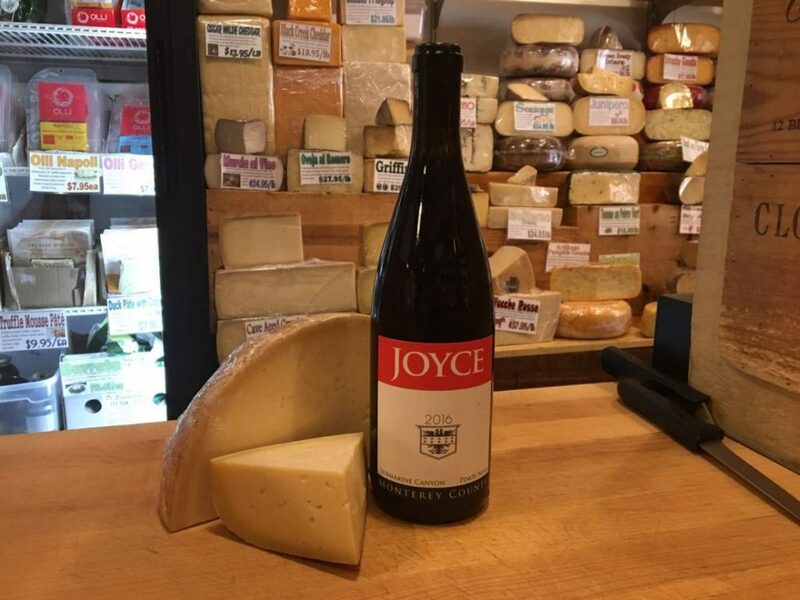 For a smooth tasting experience pair this Monterey Chardonnay with Ossau Iraty Istara, a pasteurized sheeps’ milk cheese from the Ossau Valley in the French Pyrenees Mountains; home to the Basque people. This sparkling wine, a favorite domestic sparkling selection for many, was first produced with the help of Michel Sargues, who came from Champagne with the dream of making sparkling wine with Monterey County fruit. 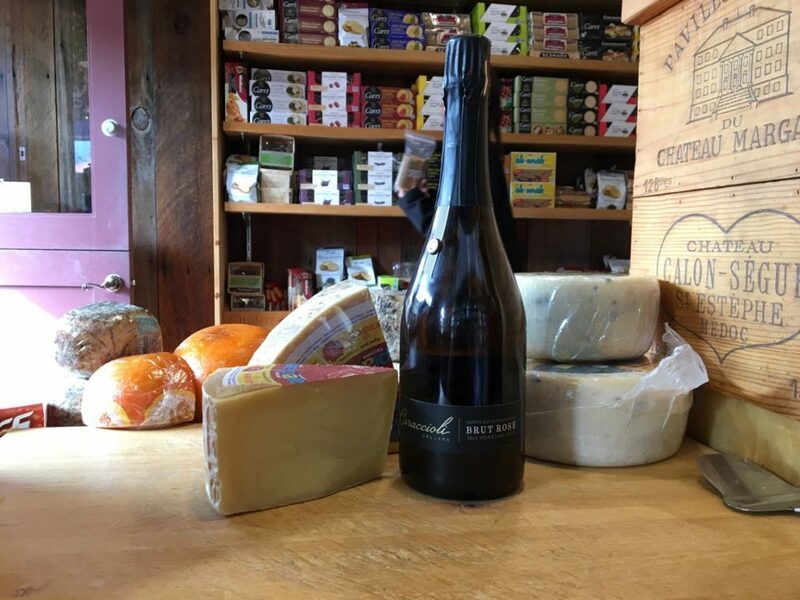 We recommend pairing a glass of this sparkly with Piave Vecchio, a pasteurized cows’ milk cheese from Veneto, Italy. Aged for one year this cheese has a pleasant mellow nuttiness, balanced with a hint of fresh citrus on the finish. Now that you have your shopping list all you have to do is visit The Cheese Shop, located in Carmel Plaza on courtyard level, and plan a trip to the beach at sunset!